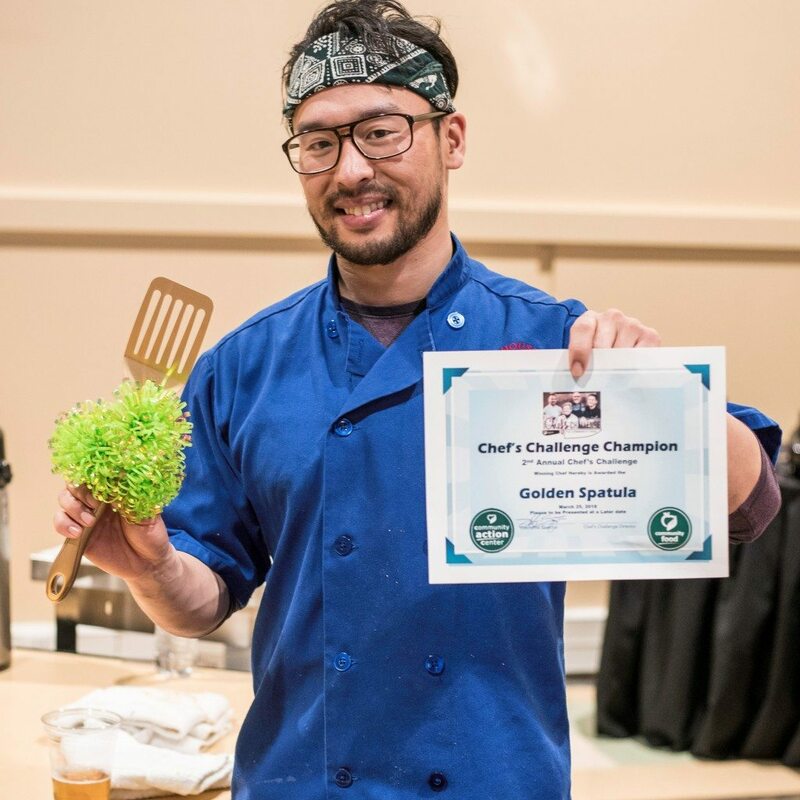 Chef Lee Wilkins will defend the Golden Spatula at the 2019 Chef’s Challenge at SEL Event Center on March 10, 2019, from 5-7:00 PM. Fun, food & competition! The only 2019 event for Community Action Center is coming on Sunday, March 10th, 5pm, at the SEL Event Center in Pullman. This Annual Chef’s Challenge will be a competition where Lee Wilkins of Greek House Chefs, Scott Franke of Washington State University Dining, and Jenny Finau of Dough Rae Me and Jenny’s Chicken (The Lumberyard), have a limited time to create a winning dish using ingredients commonly available in the Community Food Bank. 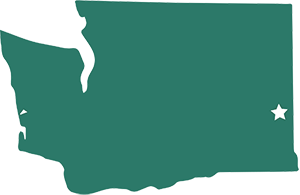 Using the pre-stocked pantry that includes a mystery ingredient, the dishes will be judged by local celebrity judges: Mayor Glenn Johnson, Joan Swensen of Paradise Creek Brewery, and WSU Executive Chef Jamie Callison. One lucky audience member can win the raffle to serve as a guest judge, and the winning chef will be awarded the Golden Spatula. This is a fun fundraiser, so be ready to pick up some fantastic foodie silent auction items, enjoy tasting a variety of foods sold by local vendors, and cheer on your favorite food wizard!